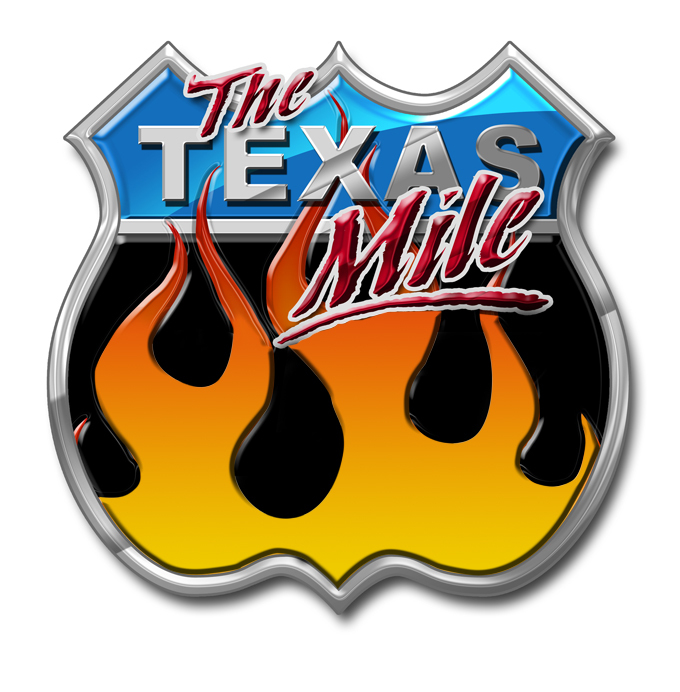 Spectator Tickets for The Texas Mile on October 18-20, 2019 at the Victoria Regional Airport in Victoria Texas can be purchased at the gate. Spectator Tickets are for sale at the gate for $25/person for the entire weekend, in and out. Kids 12 and under are FREE. VIP Guests will be on a VIP list at the gate. Please follow the directions given by staff. Cars and motorcycles can park in the designated areas. Please do not block-in cars, motorcycles or trailers. We will be monitoring the congestion in the paddock area. Please abide by all NO PARKING signs. Walking in the Paddock: Only walk on the pit side. Do not walk on the paddock road. Viewing Areas: You can find a spot on the pit side of the paddock to set-up chairs. Just ask the participants in the area what would be a space that would not block them. Restricted Areas: The large center grass area that separates the paddock from the course. Hot staging area. The course. Beyond the cones in the paddock. In or around the buildings. The active runways and airplane pad. All other areas not being used by the event. Food and drinks will be sold onsite. For more details on food vendors, stay tuned. Wrist Bands: You must wear your wrist band on your left or right wrist. Your wristband is good for all three days, so make sure you keep it on if you plan to return to the track all three days otherwise you will be required to pay the entry fee again. Do not bring in Bar-B-Q pits. Please follow paddock speed – no more than 10 MPH. Children: Children must be with an adult at ALL TIMES. Children are not allowed to operate ANY TYPE of motorized vehicle at ANY TIME. Children cannot operate bikes, scooters, bicycles, skate boards, roller skates or wear Heely skate shoes. Pets are allowed: Must be on a leash at ALL TIMES! Trash disposal: There are lined trash barrels throughout the facility. Please dispose of your trash properly. SMOKING – Fire Hazard/Trash Problem: Make sure your cigarette is fully extinguished before disposing of it. Do not throw on the ground or in the grass. Ask the people around, if it is okay to smoke in their pit area. WATCH for FUEL! DO NOT THROW CIGARETTE BUTTS ON THE GROUND!!!! We must leave the facility in pristine condition if we want to continue to be allowed to have event on these beautiful tracks.. thank you.. Explosives, pyrotechnic devices of any kind, and campfires are strictly prohibited. Firearms and barbecue pits are strictly prohibited for the general public and spectators. We reserve rights to change the instructions as we deem necessary.